Giraffe Problems is a wonderful new children’s book from the picture-book team of Jory John and Lane Smith. As much as the story’s originality and fun characters will make you laugh, it also delivers a valuable lesson about learning to love ourselves the way we are. 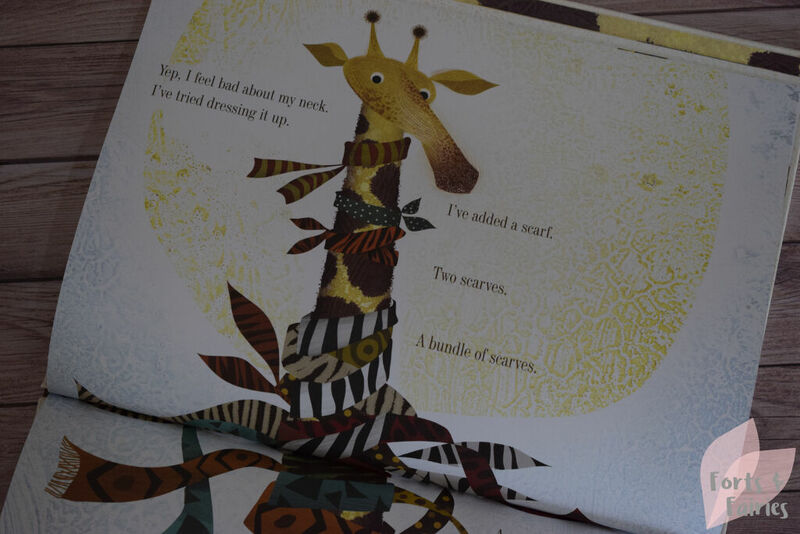 You’ll meet Edward, Edward is a giraffe and as such he has a long giraffe neck. 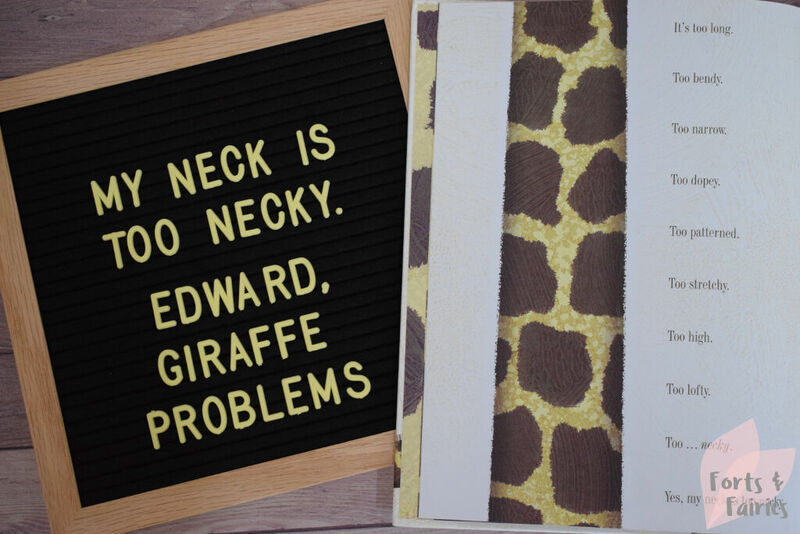 The only problem is that Edward is very self-conscious about said neck, he feels “It’s too long. Too bendy. Too narrow. Too dopey. Too patterned. Too stretchy. Too high. Too lofty. Too…necky.” He feels that everybody stares at it, and his efforts to try and dress it up have sadly not been successful. No matter how many scarves, ties or bowties Edward adds, he still feels bad about his neck. His efforts to hide it away in shrubs, ditches and trees have also failed, and he feels like he would prefer the neck of another animal instead. This despite his mum reassuring him that he should be proud of his neck. 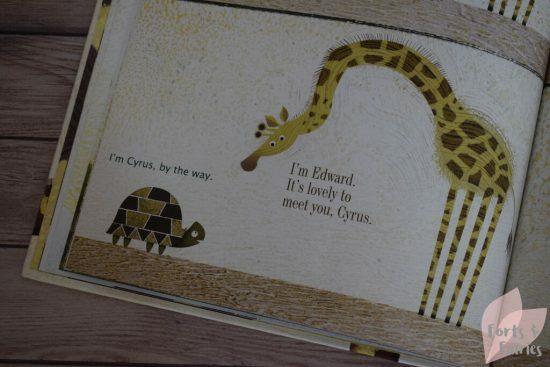 Everything changes when he meets Cyrus, a tortoise who has been admiring Edward’s neck and wishing he had a longer neck to achieve what he wants to do. You see Cyrus has been watching a banana ripen from afar and has become frustrated by his own short neck as he just couldn’t reach it. Edward easily plucks it down for his new friend, and so begins an unlikely friendship between the two animals. The new friends complement each other on their necks, before realising they feel good about their own necks at last. I loved this story, reading it makes me laugh as much as my children, with the beautiful illustrations and surprise fold-out page really bringing Edward’s Giraffe Problems to life. Combine this with a good message about self-acceptance of our own differences and the importance of friendship and this promises to be a new favourite at bedtime. 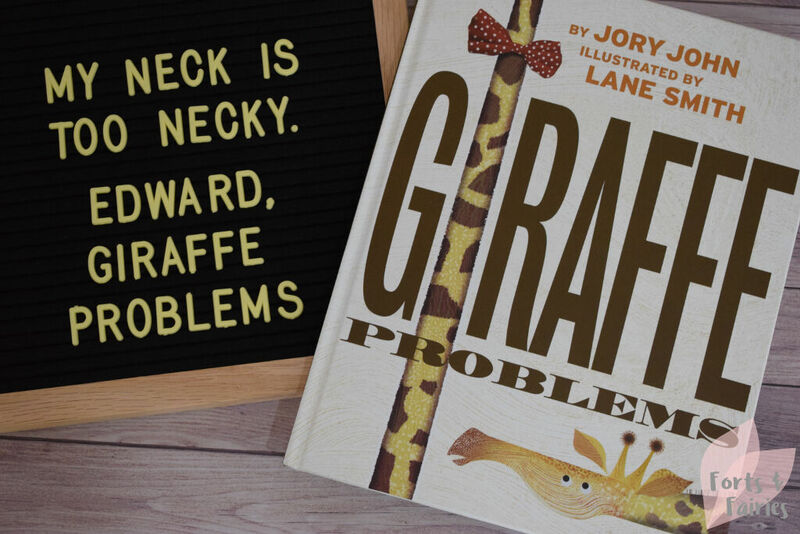 Giraffe Problems is available in hardback from book stores and online retailers for a recommended retail price of R200. It’s recommended for children aged three to seven years. Thanks to Pan Macmillan for sharing this wonderful story of Edward and Cyrus with us.